Seeing a medical professional or visiting an urgent care with no insurance can be extremely expensive. Uninsured adults are less likely to have a regular source of care outside of the emergency room, which costs them more money in the long run. An emergency room visit typically costs much more than urgent care. People without health insurance will often delay necessary medical care and set aside preventative care such as childhood immunizations and screenings. Putting off medical care because of a lack of insurance can have extremely negative effects on your health. In fact, uninsured adults are at least 25% more likely to die prematurely than adults who have insurance. This goes to show how essential it can be to have access to urgent care with no insurance. Qualifying adults can visit FastMed urgent care with no insurance thanks to our Discount Program. * There is no need to skip out on quality health care because you don’t have insurance. Our medical professionals are trained in pediatric and adult urgent care. We pride ourselves on putting our training to good use by providing the best care possible for all of our patients. With the FastMed Discount Program, you and your immediate family members’ office visits are covered at any FastMed location and at any time, for just $35 per year. Healthcare shouldn’t cost an arm and a leg. At Fastmed, our commitment extends beyond the doors of our urgent care, and our medical staff are part of our communities. 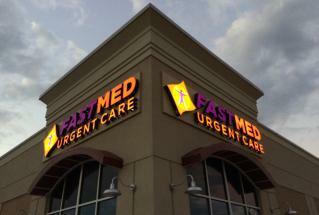 Available 7 days a week, FastMed Urgent Care is a leader in offering medical care that is prompt, personal, and available when you need it.